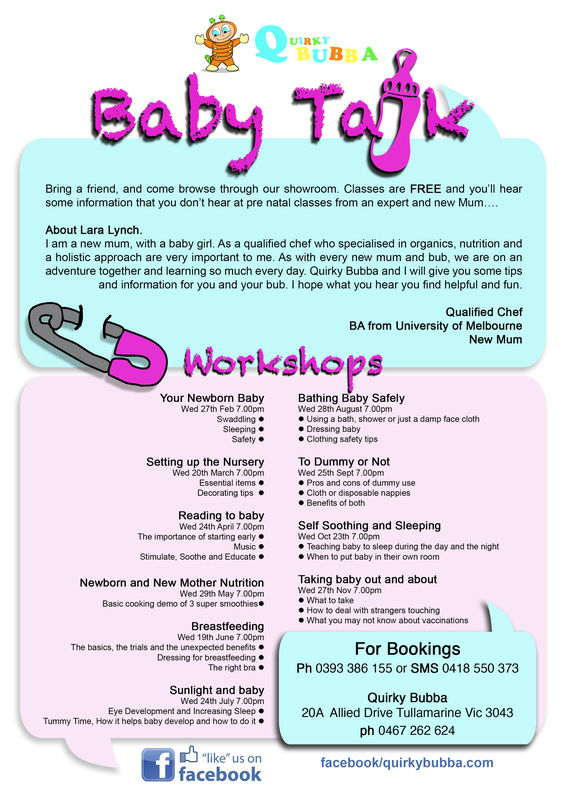 We have released our calendar of informative workshops at the Quirky Bubba Warehouse. Some will have cooking demonstrations, others will be packed with information or inspiration. They are all sure to be a lot of fun. Tags: Baby, talk, warehouse sale, workshop. Bookmark the permalink.